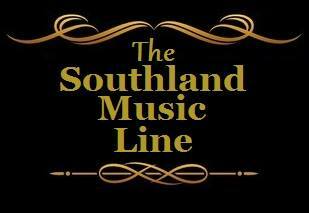 Regularly, The Southland Music Line sets off on the road for a series of live music events. 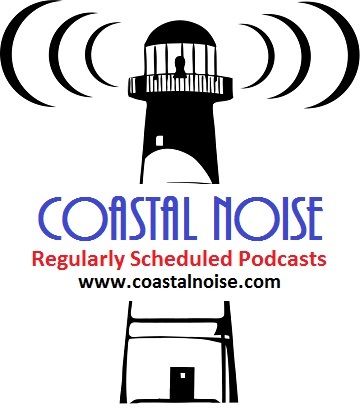 Our goal is to see and report on some of the best music we can find throughout the South and abroad. Trips to Austin’s South By Southwest annual festival, New Orleans’ Jazz & Heritage Festival or events in places likes Athens, GA, Atlanta, Memphis, Nashville, Birmingham, Lynchburg, VA, Jackson, MS and others make up a good deal of what we set out to accomplish in our search for the best music and music venues. Often along the way, we learn of some exciting new musicians and outstanding places to see preeminent music. 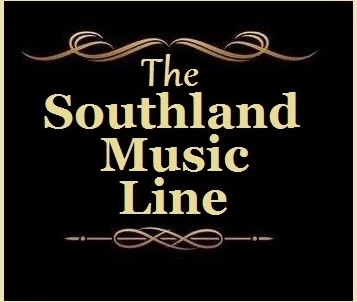 The Southland Music Line a.k.a. 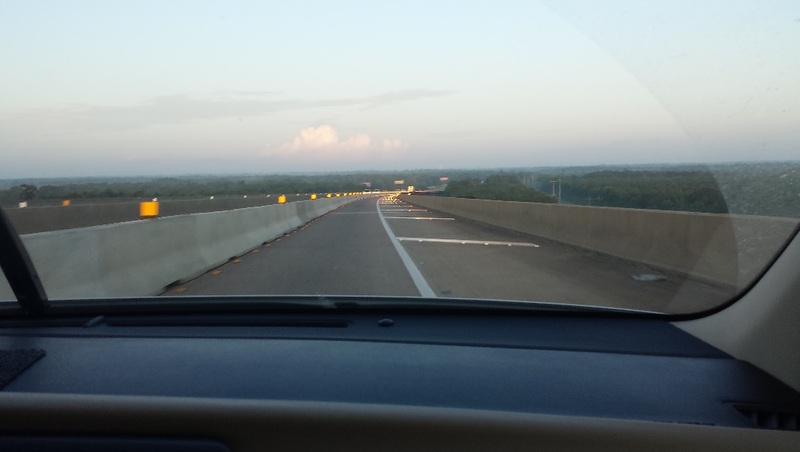 “The Line” tag these road trips – “Southern Pilgrimages in Search of The Best Music”. 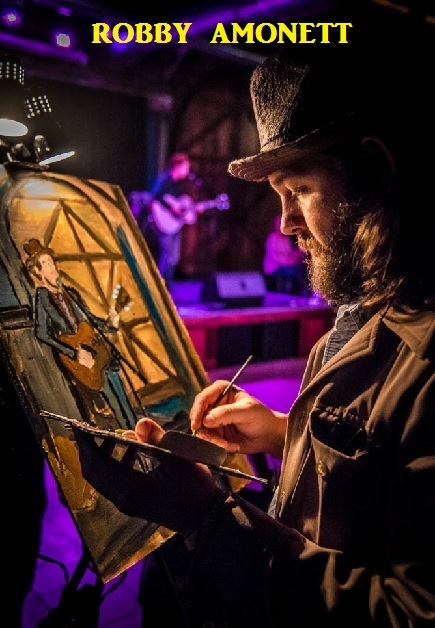 Earlier this year Robby Amonett (a contributor to “The Line”) known for his artistry of painting band’s live performances, went on tour with the Nashville based band, Banditos , one of the hardest working and most touring live bands from The South. Amonett, a former rodeo bull rider, who knows a few things about the road, was ideal for traveling with such a band. 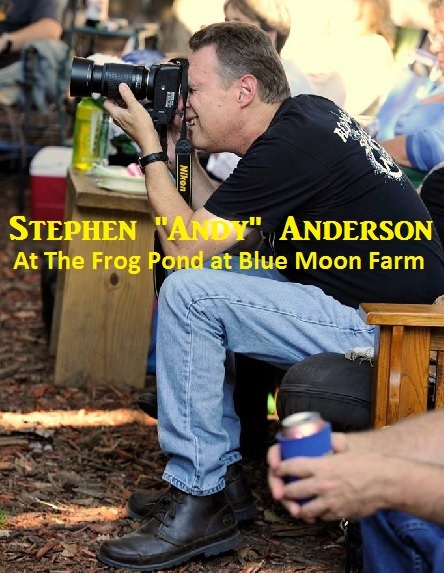 Photographer Stephen Anderson, who has taken photos of everyone from Duane Allman and Johnny Cash to most recently legendary bassist Leland Sklar, is never one to back down from getting as close to the shot as possible. And, due to a wide range of rules placed on photographers at various venues regardless of credentials, at times this can be difficult. Both artists, in their own right, stand as examples of those who desire to search for great music, bands and venues. 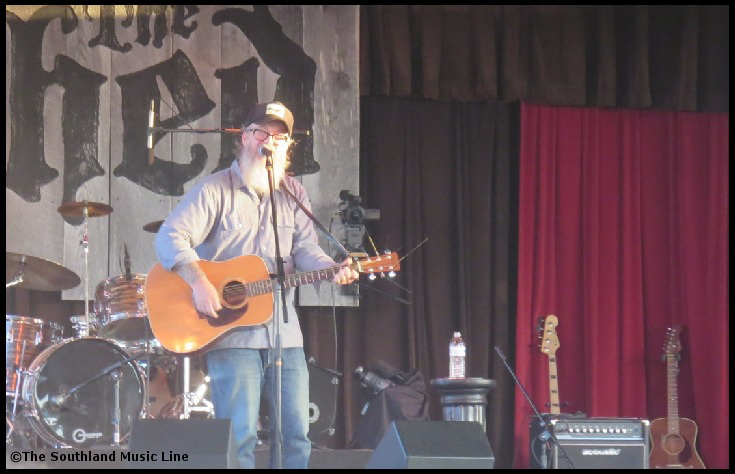 This Summer has been quite busy for the “The Line” with so many events that it is virtually impossible to report on it all…for a music lover, what a problem to have! Ultimately, our final choice of who to see and where to go depends on our personal scheduling and musical inclination. 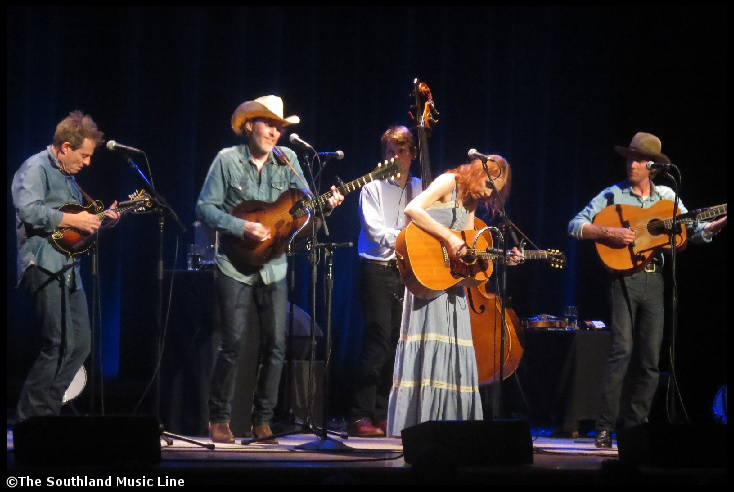 Recently, our good friend and a true fan of superior music, Bobby Rayborn, learned of an upcoming Dave Rawlings Machine show at The Ryman Auditorium in Nashville. 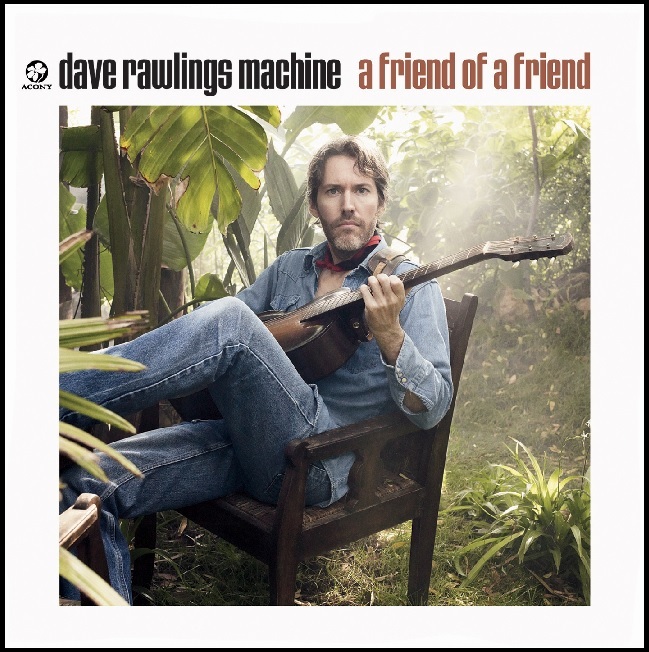 Along with Dave Rawlings and Gillian Welch, this version of The Machine would feature on mandolin, John Paul Jones of Led Zeppelin fame. (Yes, as Rawlings, also a fan, would excitingly remind us, that “J-O-H-N P-A-U-L J-O-N-E-S!!!! !” was in our presence). 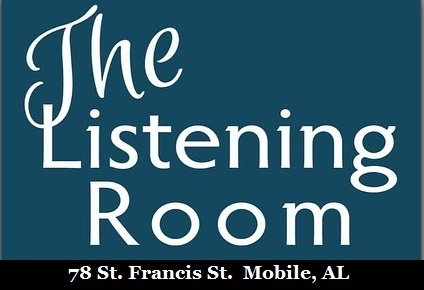 Also appearing would be Willie Watson of Old Crow Medicine Show (guitar), and Paul Kowert of the Punch Brothers (stand-up bass). Bobby Rayborn, had seen this Machine esemble last year in Birmingham on their brief, yet acclaimed tour, and there was no way that someone from “The Line” could not accompany Bobby to Nashville for this incredible night of music. As with each trip, we hope to attend as many events as possible which means that we have to plan for consecutive nights on a straight route. 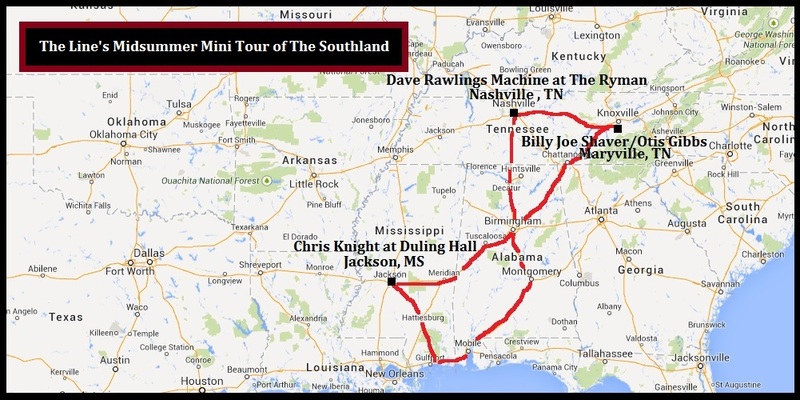 For starters, we checked on events along the way from The Mississippi Gulf Coast to Nashville. 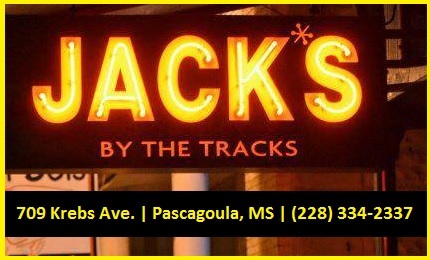 Truitt Williams, our friend and a musician, suggested that we see Chris Knight, who would be appearing at one of our favorite venues, Duling Hall in Jackson, MS. (Robby Amonett, the previous weekend had seen multiple shows in Jackson including Billy Joe Shaver and Robert Earl Keen, on two different nights at Duling Hall.) 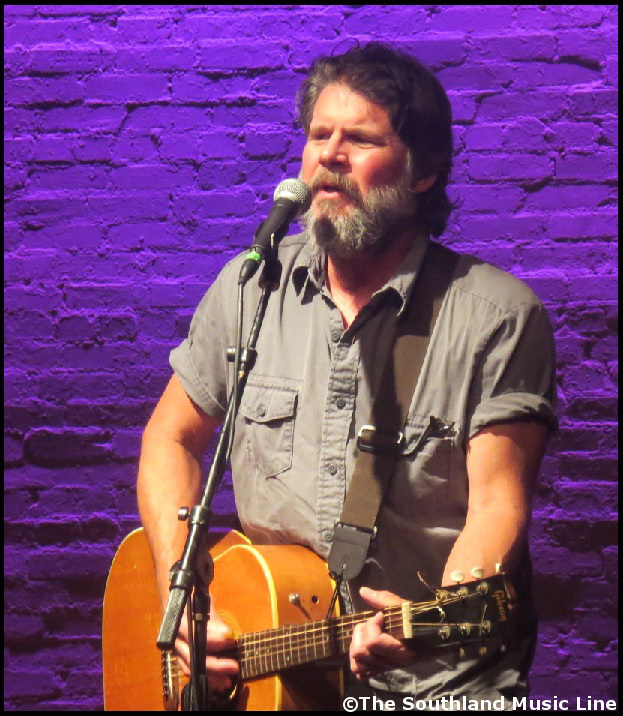 So without any hesitation, the first night of music was set for Thursday, June 26th at Duling Hall to see Chris Knight. Opening for him, southern Alabama’s own Gary Stanton. Truitt and his wife, Amy, joined us at the show where we were definitely entertained by a real talent with some amazing songs. Following a night in Jackson, the road led to one place, Nashville, TN and “The Ryman”. The anticipation to see this line-up of the Dave Rawlings Machine at the world-famous and legendary original home of the Grand Ole Opry was tremendous. 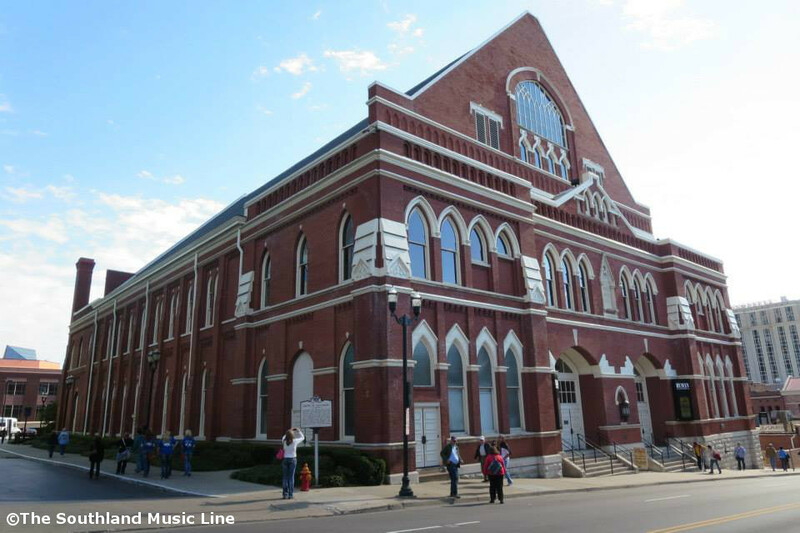 Every true fan of American Music should see at least one show in their lifetime at the Ryman. Rawlings & Company were in top form and ready to give a night of music to remember. 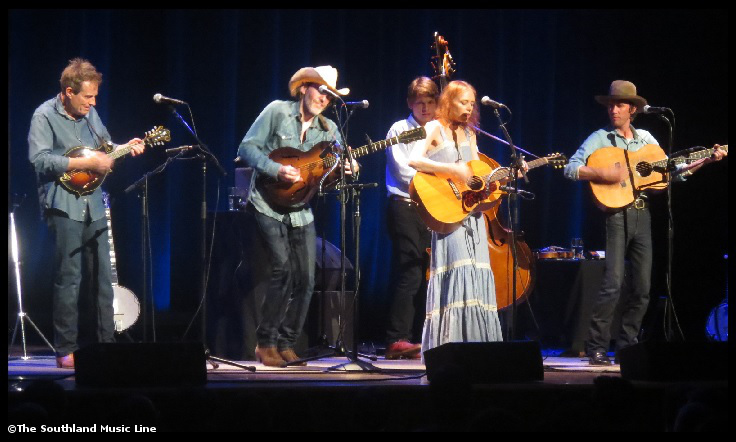 Gillian Welch said ““There’s no better room in the world for string band music.” Rawlings and this talented cast of impeccable musicians are tailor made for The Ryman as it was meant to be played, and a reminder of what made this great place so cherished and honored by millions. Most of the numbers performed were taken from Rawlings’ album, “A Friend of a Friend” (2009), but also some incredible standards, “Will The Circle Be Unbroken”and “This Land is Your Land” were done. Bob Dylan’s “Queen Jane Approximately” and Led Zeppelin’s “Goin’ to California” were also standouts. Rawlings on record is amazing, but hearing him perform live is an experience at the next level that any musician or true fan can fully appreciate. I have seen Rawlings and Welch before, but this time will go down as one for the books. ONE OF THE BEST SHOWS OF YEAR! Day Three: What’s next? 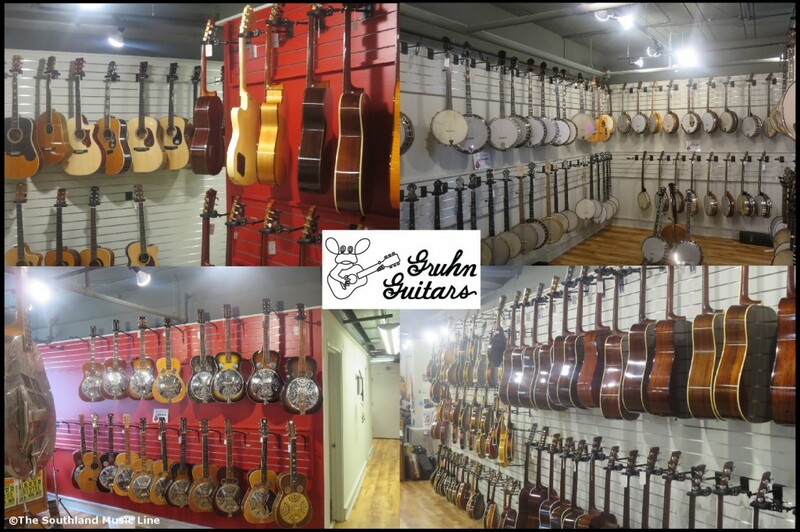 Our options were many since this was Nashville, the home of some of the greatest American music! Our mission was to see shows equal to the previous night. 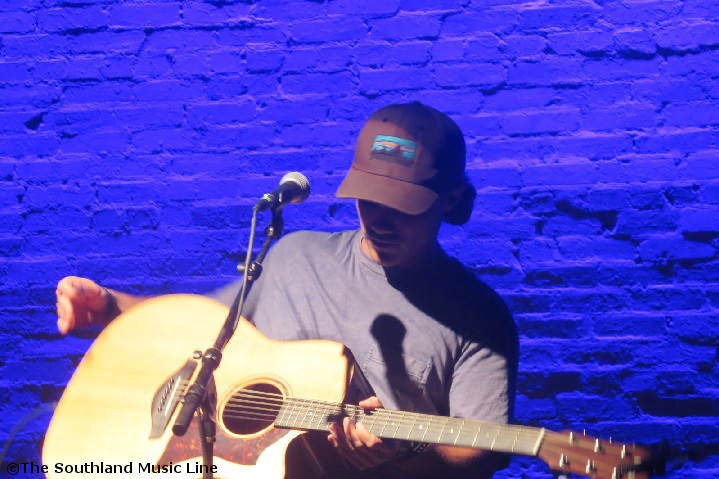 Obviously our choices were vast, so would it be The Franklin Theater in nearby Franklin, TN, or Bluegrass Underground which show would be a day-time show in McMinnville? or……? After much deliberating, we finally decided, ‘hey lets head east’ towards The Smoky Mountains and attend a show at one of the largest Harley-Davidson dealerships in The South. For us it was a “no-brainer” decision to be on hand to see who Johnny Cash once called his favorite songwriter and is referred to as the ‘original Outlaw of Country Music’, Billy Joe Shaver. A”must-see” in this age of rediscovering everything important to music history, this man puts on one kickin’ concert! Before leaving Nashville there were a few obvious stops. One was definitely in East Nashville to get a burger at Pharmacy Burger Parlor & Beer Garden (After hours of no real food, it was long overdue for two big guys like Bobby and myself.) 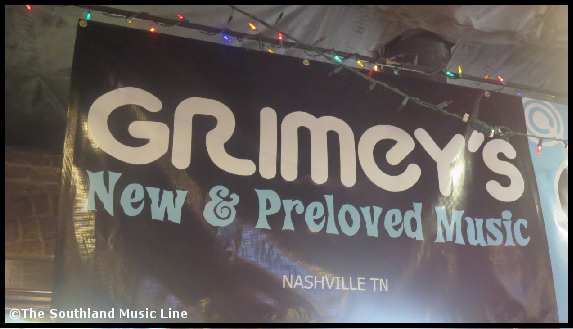 Then, it was off to S. 8th Street to Gruhn Guitars and Grimey’s Record Store. 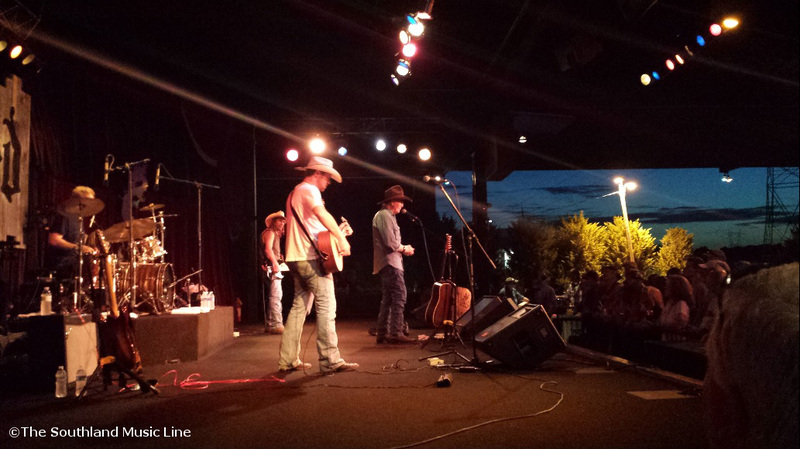 The road towards Knoxville was nice with beautiful weather, and by the time we got to Maryville, TN the atmosphere and setting couldn’t have been more fitting for a Billy Joe Shaver show. The place, “The Shed” (not to be confused with The Shed Blues & BBQ Joints) is located adjacent to Smoky Mountains Harley-Davidson. The grounds were quite impressive, consisting of an incredibly huge dealership, BBQ restaurants, several bars, and an outdoor covered stage pavilion. Not just a make-shift stage with a canopy, but one with a first rate large stage, sound, screen monitors and lots of room. It was definitely Harley-Davidson Central – bikes, bikers, biker enthusiasts and plenty of Billy Joe Shaver fans. The service, the food and even those directing traffic couldn’t have been better. 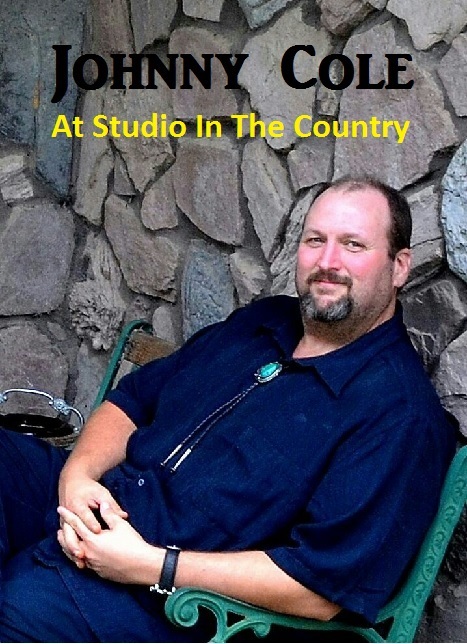 Opening for Billy Joe was Indiana born, singer-songwriter Otis Gibbs. He was quick to tell a story and backed up every one with a great song. Bobby purchased every CD he had and it was nice speaking with Otis afterwards. We look forward to seeing him again soon. 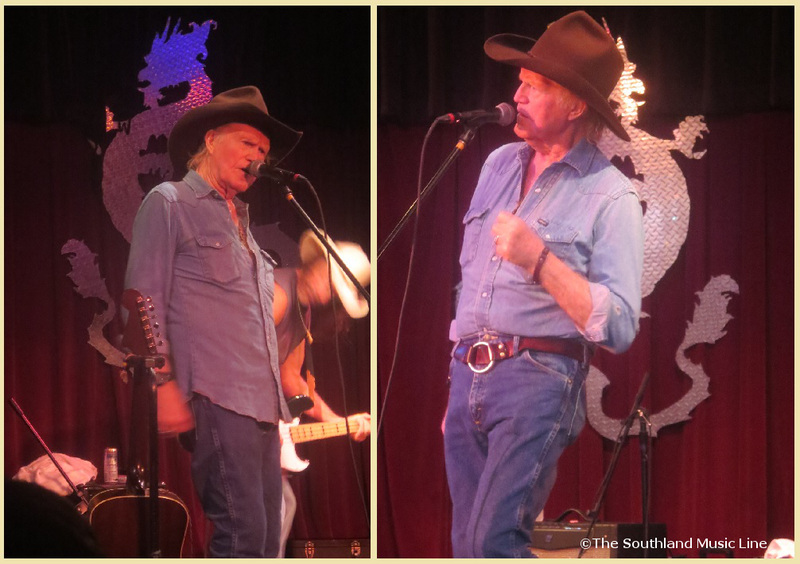 It was finally Billy Joe Shaver Time! The thing I loved best, was how his show just flowed as he has been doing this for years. He entered the stage and did what he knows best, backed by a young energetic band. Shaver, at 76, proved hard-living and age won’t keep him from doing what he loves. 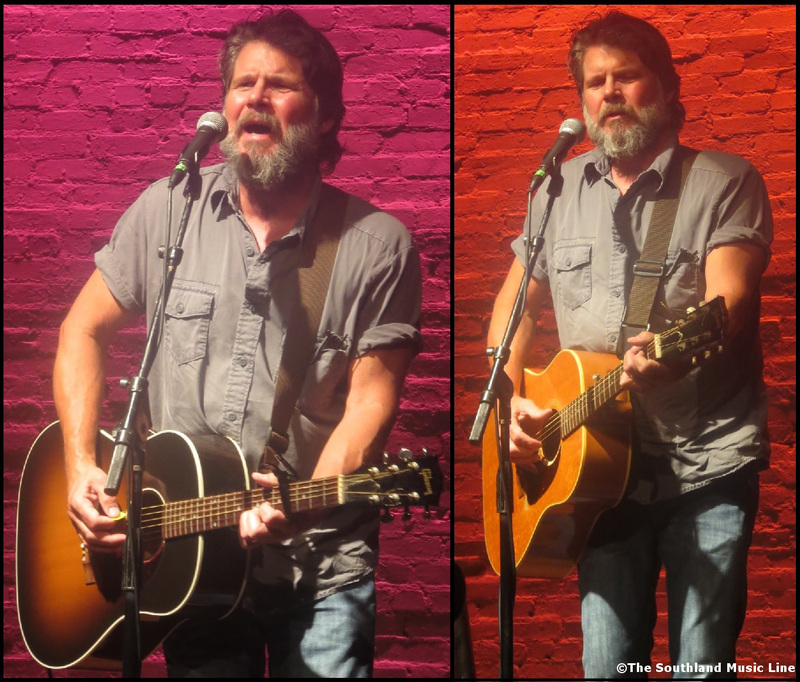 A favorite songwriter to a multitude of artists and fans, he has a remarkable gift for song and on this night connected well with the audience. Jokingly at the end, he asked if we thought we got our money’s worth, then quickly added that we did and he wasn’t giving any money back, and with that he was calling it a night. His rough, hard-edged demeanor worked, because it’s what his captivated and loyal fans expect. They cheered and laughed at his candor and honesty. Legendary Outlaw Country Music star ‘Billy Joe Shaver’. In 2009, Bob Dylan mentions Shaver in his song “I Feel a Change Comin’ On” in the line: “I’m listening to Billy Joe Shaver, And I’m reading James Joyce”. 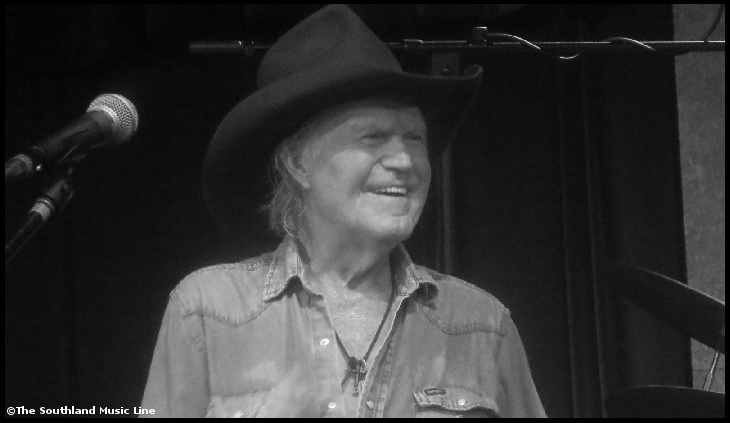 I left with a full appreciation for Billy Joe Shaver and see why he is valued by his huge fanbase. We were one of the last to leave the grounds and as we pulled out, we didn’t know if our next stop would be Atlanta, Charlotte or even back to Nashville. We just made our way down the highway talking about the show, Billy Joe, Otis and how fun it is traveling from one town to the next. We headed south towards Chattanooga, at what is often the typical time to travel for guys like us- after midnight and beyond. We knew ahead of us was Atlanta, Birmingham, even Athens, Ga. or maybe we could even turn westward back to Nashville. We knew that Old Crow Medicine Show would be premiering the release of their new album on Mon/Tues at midnight, so it was a consideration. 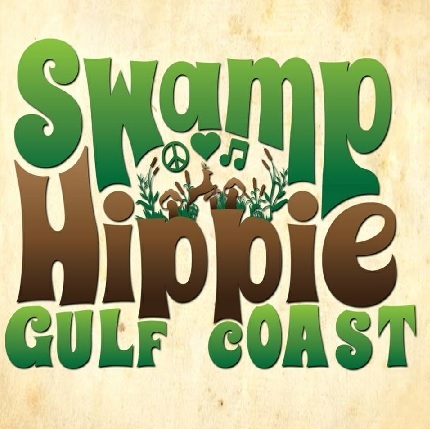 Listening to Outlaw Country on Sirus Satellite Radio, we made our way further and further south, checking over show listings for everywhere. 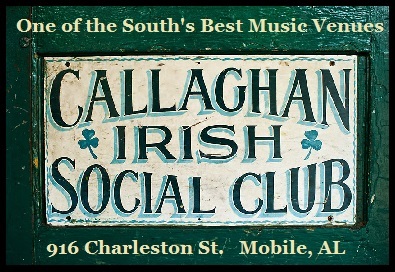 Eventually we decided on ‘home’, not because we couldn’t find a band to see, but we simply couldn’t make up our minds and we knew surely Sunday night would give us an opportunity to see more fantastic music at a number of great venues back home along the Florida, Alabama and Mississippi Gulf Coast. We rolled back into town after sunrise. Another journey, another pilgrimage was complete for the time being. This trip was epic and will forever be engraved into our minds. Keeping Up With Kelcy Hyde: Nashville’s Next New Sensation? Tagged Billy Joe Shaver, Bobby Rayborn, Chris Knight, Dave Rawlings Machine, Duling Hall, Gary Stanton, Gillian Welch, Jackson Mississippi, John Paul Jones, Maryville Tennessee, Nashville, Old Crow Medicine Show, Otis Gibbs, Paul Kowert, The Punch Brothers, The Shed at Smoky Mountain Harley-Davidson, Thr Ryman Auditorium, Willie Watson.